Boxer Property has announced its agreement to manage and lease commercial office space at the 79,618 SF property located in the eastern region of Houston. 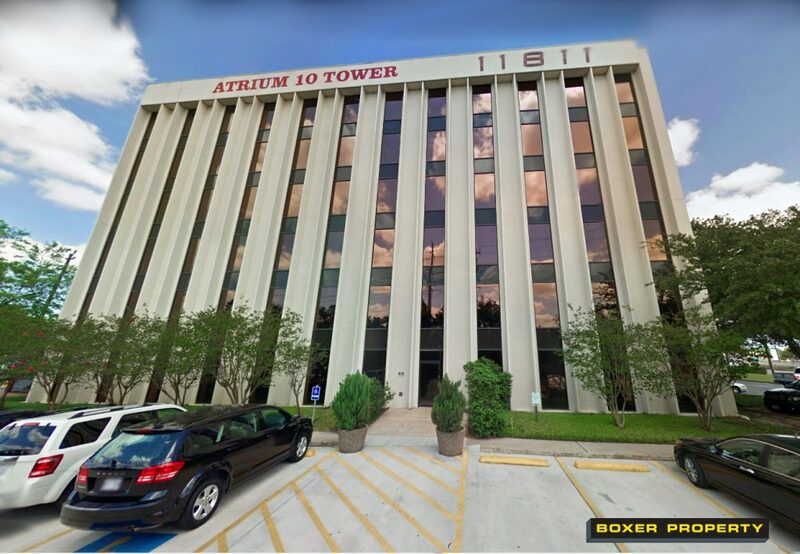 August 16, 2018 (HOUSTON, TX) – Houston-based commercial real estate firm, Boxer Property, announced its agreement to manage and lease office space at 11811 East Freeway in east Houston. The addition of this building brings Boxer to over 1.1 MM square feet in new third party assets added to their portfolio in 2018. Building amenities at this property include ample surface parking, an on-site deli, 24-hour key card access, and on-site security. Stephen Kradjian and Karen Hink, members of Boxer Property’s Asset Services group, negotiated the agreement with ownership. “We are excited to re-enter the east Houston submarket and look forward to adding value to Atrium 10 Tower, 11811 East Freeway.” Hink said. The property offers high visibility, located just off of I-10, giving access to the many surrounding restaurants, banks, and hotels.